What Is ACES and PIES Data? ACES and PIES are industry-standard data formats. ACES (Aftermarket Catalog Exchange Standard) is used to manage and exchange automotive application (fitment) data. PIES (Product Information Exchange Standard) is used to manage and exchange product (part number) data. 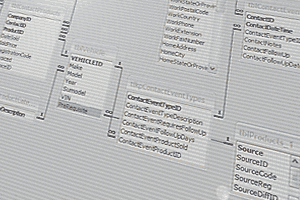 In this article we will be looking into the two leading industry standards for data formatting in the automotive aftermarket industry. These two standards of course being ACES and PIES. The ACES and PIES data standards were created by the Auto Care Association, formerly known as the Automotive Aftermarket Industry Association, or AAIA. These data standards combine to manage and exchange part number and fitment data to subscribers, and to give the automotive aftermarket industry a universal standard to work from. So why have ACES and PIES become the industry standards that are used today by over 500,000 members? To understand that, we need to take a deeper look into the definitions of the ACES and PIES information exchange standards. ACES (sometimes called AAIA ACES) and PIES (sometimes called AAIA PIES) highlight some of the things that makes the aftermarket industry (including data) different from other industries: we have to manage year, make, model fitment data for products. This presents unique challenges to companies exchanging data, creating websites, selling online or in a retail store, or warehousing products. These data standards were created by the Auto Care Association when the association was still called Automotive Aftermarket Industry Association (AAIA). What is ACES product data? 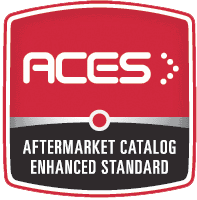 ACES (Aftermarket Catalog Exchange Standard) is the automotive aftermarket industry standard for managing and exchanging automotive catalog applications data. Aftermarket manufacturers can send and receive parts data using industry standard vehicle applications (such as year, make, model), part types and qualifier statements. The standard includes part data (brand, part number, part type), along with application fitment information that defines which vehicle, which vehicle attributes, and which position on the vehicle the part fits. ACES files come in an XML format and can be used after paying a subscription fee to the Auto Care Association. To be specific, the ACES format is a nested XML file, with only one file per brand. The Auto Care Association maintains ACES files and updates their vehicle applications database, referred to as VCdb for “Vehicle Configuration Database” approximately once per month. Vehicles as far back as the 1896 model year are included in the VCdb. This vehicle table contains over 60,000 specific combinations of year/make/model cars and trucks. Parts that are universal and don’t have a specific fitment will not have ACES data. Think of ACES as the link between a part number and a specific vehicle in the VCdb. The Parts Configuration database (PCdb) is also part of the ACES standard, and contains a standard list of part types and categories. Aftermarket parts suppliers are encouraged to validate their parts data fitment against the ACES industry standard to ensure correct fitment information. Vehicle fitment information that is missing is known in the industry as application holes. What is PIES product data? 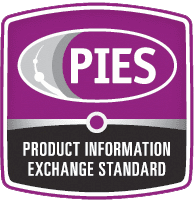 PIES (Product Information Exchange Standard) is the automotive aftermarket industry standard for managing and exchanging product data. PIES data includes over 20,000 product types that are organized into 25 categories. Unlike ACES, PIES data standards can be used without paying a subscription. However, there are additional databases that work with PIES data that are available by subscription. As with ACES, the Auto Care Association publishes PIES standards. The standard part type taxonomy is part of the PCdb table they publish, covering product classifications. PIES files not only include product attributes, but also includes data like brand ID, prices, dimensions, weights, kits, digital assets, marketing content, UPC codes, hazardous material information and country of origin. PIES data includes information on brands, which follow a standardized structure as with the other PIES fields. Private brands can be included in a PIES file by using the brand owner name, or the retailer’s name. You can download the latest PIES 7.0 technical specifications by visiting this page and scrolling to the bottom, or here is a direct link to the PIES release notes hosted on the Auto Care Association website. One way to remember the difference between ACES and PIES is this: a PIES file—begins with “P”—is a list of Part numbers and Prices, like a typical printed jobber price sheet. An ACES file—begins with “A”—is a list of Applications, like a manufacturer’s traditional printed application guide showing what fits different years/makes/models. By the way, any reference to “AAIA ACES” or “AAIA PIES” is really outdated, because AAIA (Automotive Aftermarket Industry Association) is now the Auto Care Association. How are ACES and PIES used together? As ACES and PIES are the industry standards for data management in regards to parts and fitment, it is no secret that utilizing these two information exchange standards together efficiently is a key to success in the automotive aftermarket industry. When order parts customers, warehouse managers, shop owners, etc, will first reference the ACES data in order to determine if your part will properly fit their vehicle. If the part is a fit, the customer can then reference your PIES data to determine whether your specific part satisfies all of their needs. The ACES and PIES information exchanges provide data that takes the guesswork out of ordering parts if your data is properly managed and maintained. By taking the guesswork out of the equation ACES and PIES combine to be able to deliver higher sales and revenue while simultaneously reducing issues such as product returns or ordering errors. ACES and PIES subscribers can download the current versions of the Vehicle Configuration Database (VCdb), the Product Classification database (PCdb), the Product Attribute database (PAdb), the Qualifier database (Qdb) and the Brand Table from a new web interface set up by the Auto Care Association, called the Vehicle Information Portal (VIP). You can access VIP at this link. To see a list of the aftermarket’s service providers that work with ACES and PIES, see our list of data service providers, here. Information sources: SEMA, Auto Care Association (PIES), Auto Care Association (ACES), WebShopManager, RXSpeed.